The unique keyhole cut-out allows you to rotary cut both angles with one tool. Cut the tall, center triangle from strips measuring 1-1/2 inch – 6-1/2 inch with no waste. 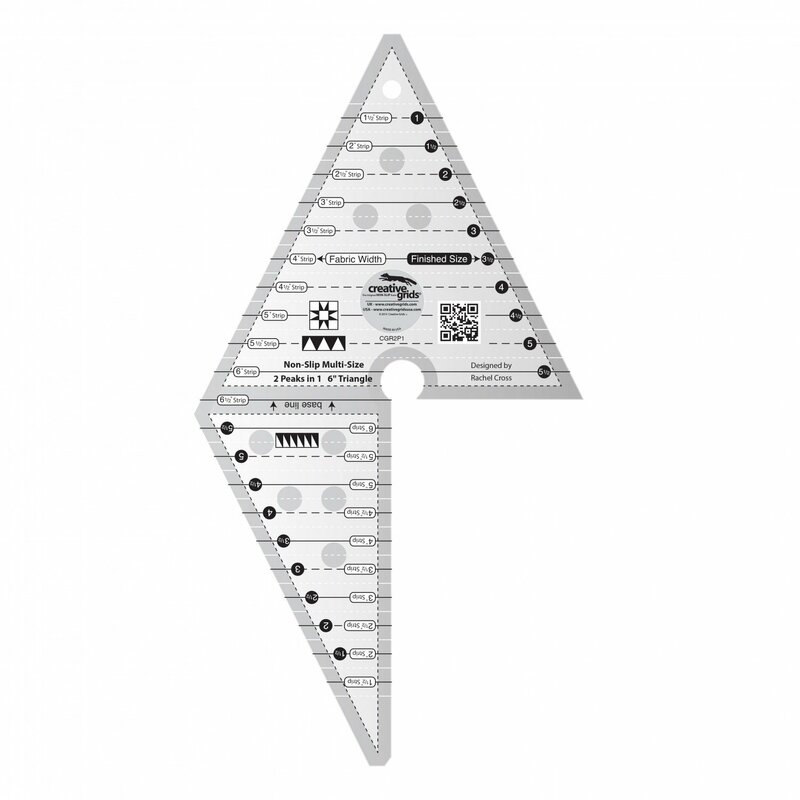 The markings on the ruler show the finished size as well as the strip width required. The ruler slides easily over the fabric until pressure is applied. Then, our exclusive gripper holds the fabric in place while cutting, eliminating slipping and miss-cuts!